Entrepreneurs and small- to medium-sized businesses hire Martha Spelman to connect their companies with customers. Martha is a branding and marketing consultant with extensive experience and expertise in starting, running and selling her own business (including several start-ups). She emphasizes developing a strong visual and verbal branding message and a marketing strategy that creatively utilizes effective design and content marketing. 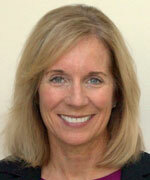 Martha is on the Leadership Board of the SoCal chapter of the Institute of Management Consultants.